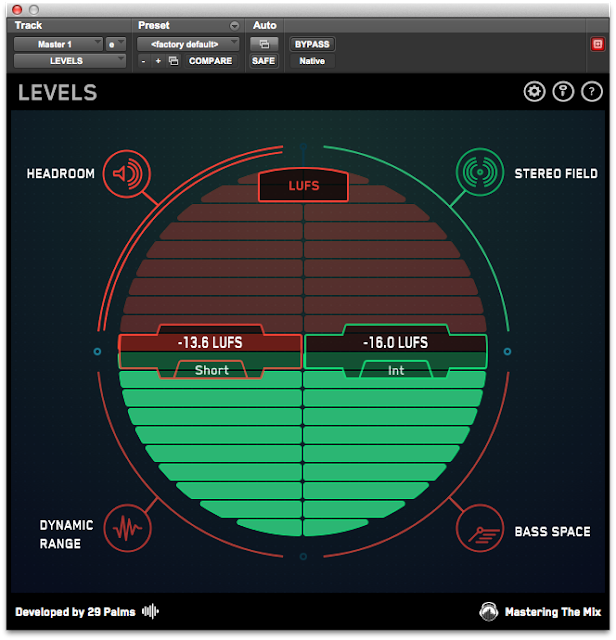 Tech Tues: Have you tried the LEVELS plugin yet? A couple weeks ago mastering engineer Tom Frampton of masteringthemix,com asked me to try his new plugin LEVELS. I've been using it on every mix ever since. 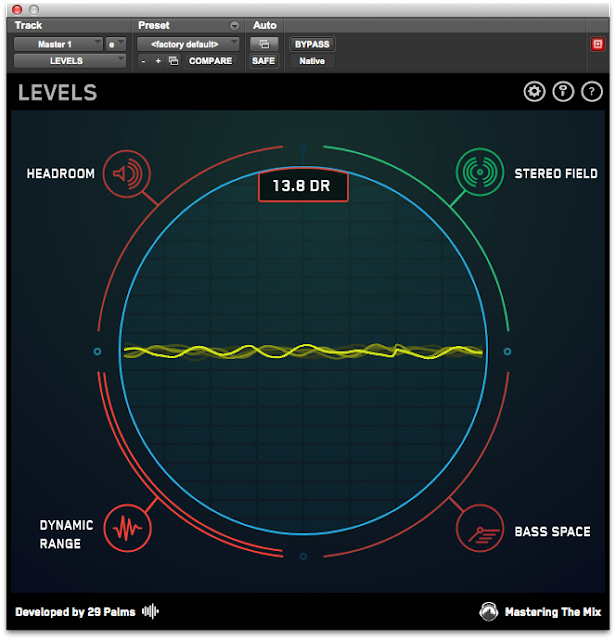 LEVELS is a new metering/analysis plugin Tom designed with software developers 29 Palms to help analyze and correct technical issues when mixing and mastering. 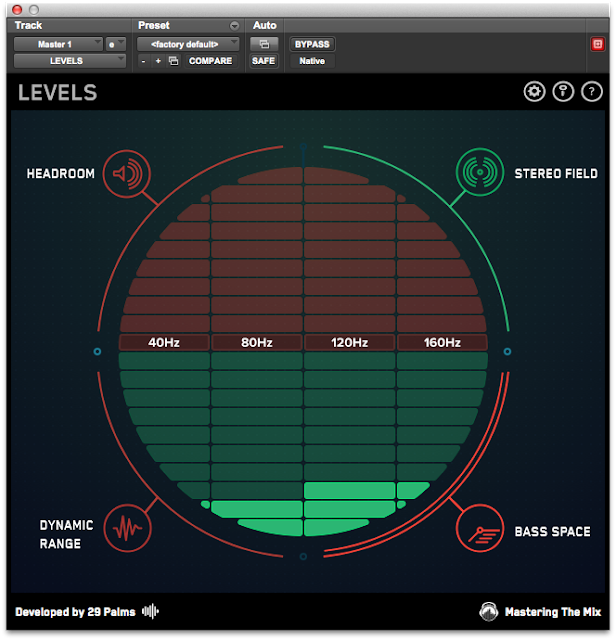 I can check mono compatibility, phase issues, low end issues, stereo balance, dynamic range and headroom all in one plugin. "LEVELS allows you to easily and instantly see any technical issues with your mix, without the confusing visuals of existing metering solutions. It only draws your attention to aspects of your mix that need fixing. 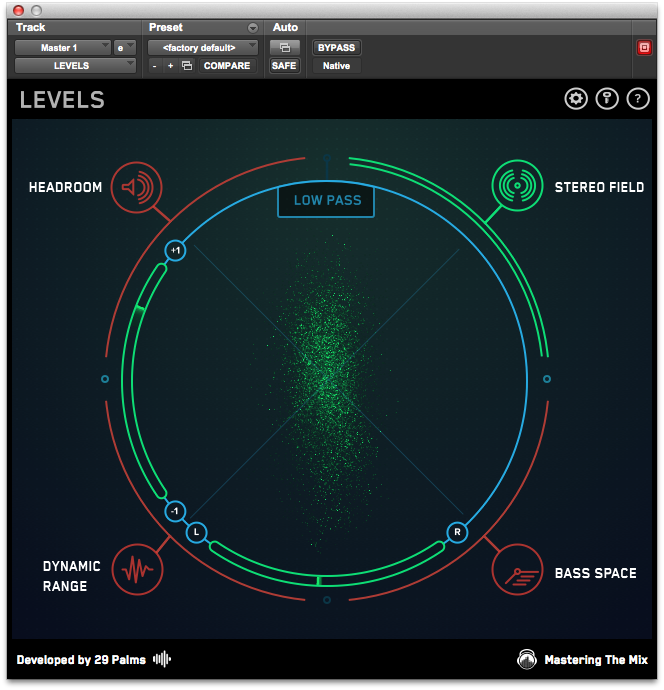 Meaning you spend less time figuring out why your mix isn’t working and more time being creative." The 1st pic shown above is the start screen of LEVELS. 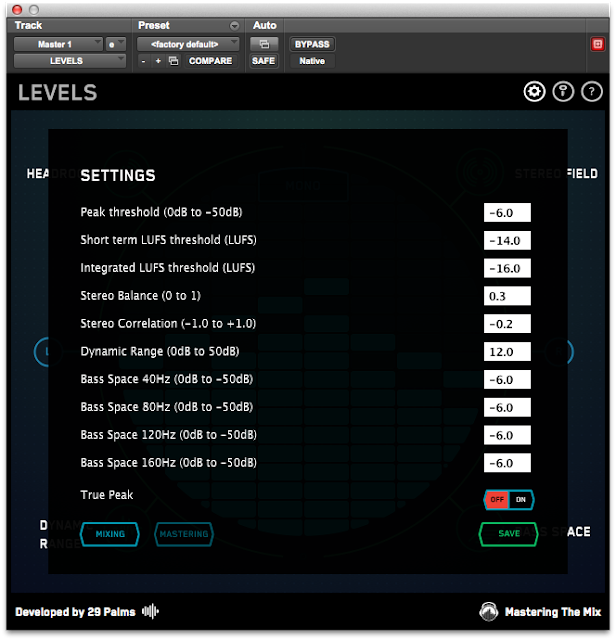 It allows you to easily place your mix in mono if needed. There are 4 more sections to this plugin. Actually 5 if you count the customization screen that is accessed by clicking on the settings icon in the top right hand corner of the plugin. 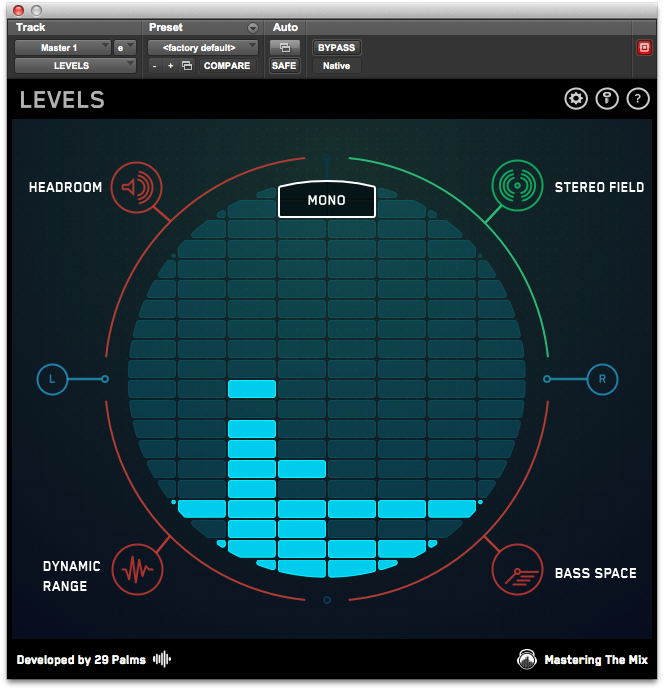 For a more in depth explanation of LEVELS check out Mike Thorton's excellent article on Protools Expert. 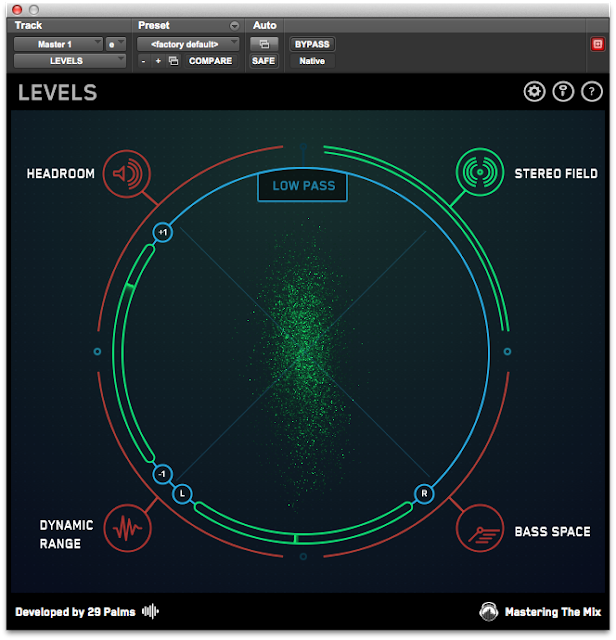 LEVELS is available for £69/$92 on the website. There is also a 2 week free trial available.